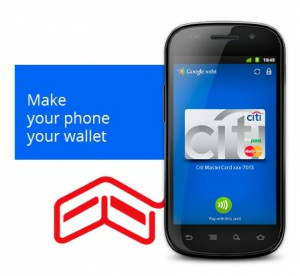 Google Wallet is expected to launch today, as we covered back in May when the system was announced. The new system strategically places Google right in the heart of the multi-billion dollar mobile payments industry. The move to take market share away from PayPal sparked a lawsuit back in May, claiming two former PayPal employees now work for Google and play a critical role in launching the Wallet system. Although the results of the lawsuit are not discussed further, that system is expected to launch today. Only a small amount of merchants, cities, and users will have access to Google Wallet in the early stages of launch. Most experts are aware that a new era of commerce is upon us. Just as pay-per-click management has begun to take over traditional advertising (see our tips for selecting the best ppc company), the launch of mobile wallet systems through smartphones may bring upon us a new era of commerce. The only handheld device that is equipped to handle the software is the NFC-enabled Sprint Nexus. It’s a matter of time before smartphone manufactures create NFC enabled products. Could the iPhone 5 (anticipated to be announced any day now) include this technology? It remains to be seen how large and significant of an effect Google Wallets will have on ecommerce. More updates to follow.